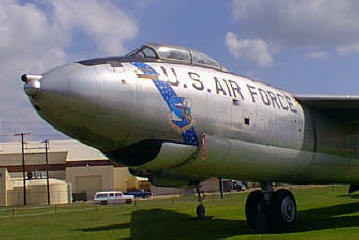 It's exhibits include many aircraft, such as the B-47 shown above. 301st Bomb Wing Nov 7, 1949. - April 15, 1958. 4238th Strategic Wing March 3, 1958 - April 1, 1963. 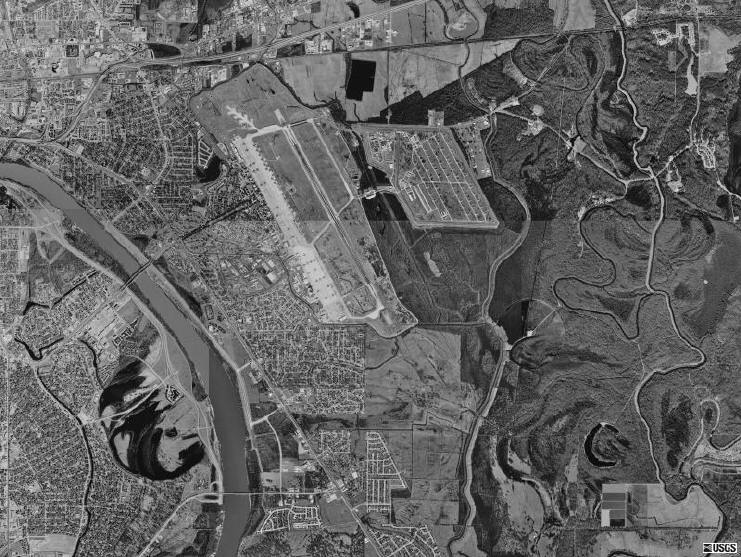 Beginning in 1931, construction of the world's largest airfield (22,000 acres) introduced dramatic and significant changes to the cotton plantation area. The 1940s at Barksdale saw the training of bomber crews instead of the pursuit and fighter crews as in the previous decade. 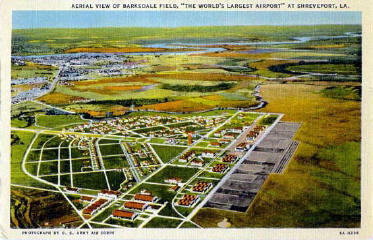 Barksdale Field was named Barksdale Air Force Base in 1948. During 1949, Barksdale was the home of the first Air Force all-jet strategic reconnaissance/bomber aircraft, the North American RB-45 "Tornado" and home to the 2nd Air Force headquarters, bringing Barksdale into the Strategic Air Command. The Boeing B-47 "Stratojet" and Boeing KC-97 "Stratotanker" also were assigned here during the mid-50s. In March 1958 the first of the Boeing B-52 "Stratofortresses"and Boeing KC-135 "Stratotankers" were assigned. The World War I - famous 2nd Bomb Wing transferred to Barksdale April 1, 1963, from Hunter Field, Ga. From 1965 and into the 1970s, the 2nd Bomb Wing prepared for the day when they would deploy to Southeast Asia for "Arc Light" and "Young Tiger" missions. From 1972 through 1973 almost all of the wing's resources were deployed overseas for operations over Vietnam. All aircraft and crews returned in January and October of 1973. Eight B-52 aircraft and more than 70 people deployed to RAF Fairford, England in support of NATO operations to end the crisis in Kosovo. While deployed to RAF Fairford, the B-52s and B-1s flew more than 270 combat sorties, releasing more than 11,000 weapons in more than 2,000 flight hours since March 24, 1999.